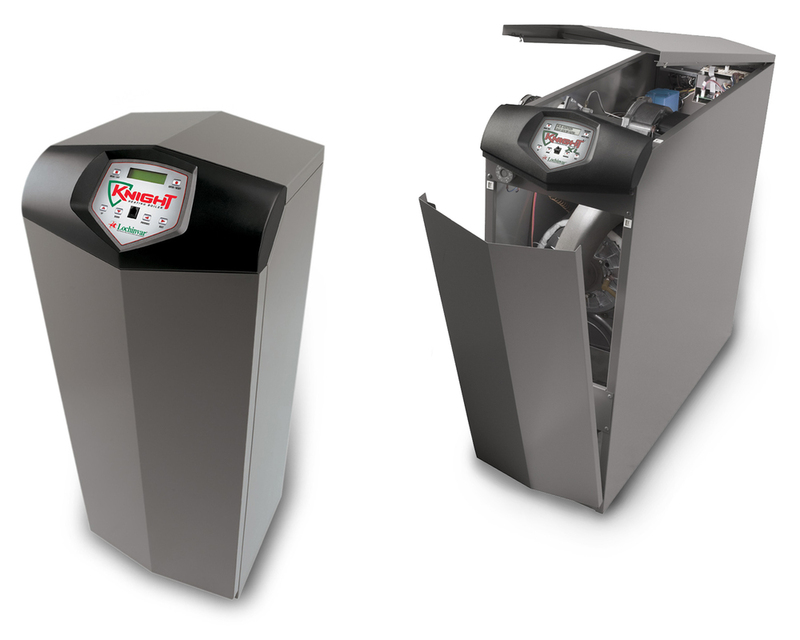 Lochinvar Knight Boiler — Brownlie Design, Inc.
Brownlie Design provided Lochinvar with a striking new design for the Knight Residential Heating Boiler. This high efficiency boiler needed to be cost effective, easy to service and simple to operate, with a distinctive appearance reflecting the “Knight” design theme. Energy saving controls are easy to understand and are conveniently located for the homeowner. The Knight boiler has been extremely successful in the market place. Sales have outpaced the forecast significantly in its first 2 years. The design has been very well received by contractors and homeowners. It was awarded a Silver Medal in Appliance Design magazine’s Excellence In Design awards competition.